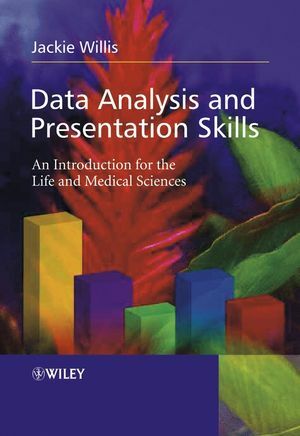 Data Analysis and Presentation Skills: An Introduction for the Life and Medical Sciences is an invaluable text allowing students to develop appropriate key skills when designing experiments, generating results, analysing data and ultimately presenting findings to academics and referees. Taking a hands-on approach, each of these key areas is introduced clearly and carefully, showing how to access and evaluate information using a variety of resources. Basic analytical theory is gradually introduced alongside practical applications to enhance student understanding. The reader is shown how to present data in charts using Microsoft Excel and statistical analysis is carefully explained showing clearly how to manipulate data in spreadsheets and analyse the results using commonly used tests. A section is also included on the use of PowerPoint as well as giving advice on how to prepare a short talk or seminar. Guidance on how to complete and present practical and project work through to postgraduate dissertation. Clear step-by-step introduction to Microsoft Excel, presentation skills and statistical analysis. Jackie Willis, Coventry University, UK. 1. Working in theWindows Environment. 1.3 General functions in Microsoft applications. 2. Researching and Planning Scientific Investigations. 3.1 An Introduction to Microsoft Excel. 3.2 Presenting graphs and charts. 5.1 Selecting a statistical test. 5.2 Statistical tests for two samples. Alt key codes for special symbols in Microsoft applications. Data Analysis and Presentation Skills associated website Visit author Jackie Willis' site for links to further internet resources and further worked problems and examples. The title provides undergraduate and post-graduate students in the life sciences, with the opportunity of developing key skills within several areas to facilitate use of such skills as research and presentation tools.